National Iranian American Council's attempt to sue blogger backfires, as it gets slapped with sanctions, and regime advocacy exposed. 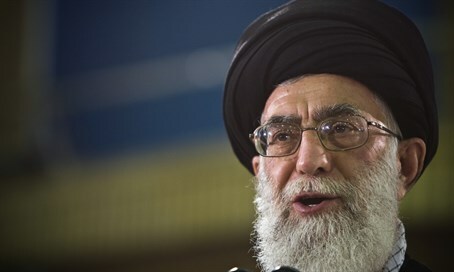 While the Iran nuclear deal may be on its way to being sealed, the celebrations have been dampered for the National Iranian American Council (NIAC), long accused of being a mouthpiece for Iranian Supreme Leader Ayatollah Khamenei. The Philadelphia-based NPO Middle East Forum's Legal Project announced on Tuesday that a legal case it had been leading against the unofficial Iranian lobby in the US ended with the US Federal Court of Appeals upholding a sanction penalty ruling against the NIAC to the tune of $183,480.09. NIAC was targeted by the sanctions after it launched a defamation suit against Iranian-American blogger Hassan Daioleslam, over his investigations showing the NIAC's ties to the Iranian regime. Legal Project swung into action, getting the suit thrown out after the US District Court found that NIAC president and founder Tritra Parsi's work was "not inconsistent with the idea that he was first and foremost an advocate for the (Iranian) regime." Sanctions were likewise imposed against the lobby for its behavior, with the Appeals Court backing the ruling and saying the NIAC "engaged in a disturbing pattern of delay and intransigence," harming Daioleslam's ability to defend himself in court. So far $49,155.54 of the sanctions have been received thanks to reimbursement to Daioleslam and his pro-bono attorneys. NIAC paid $200,000 to put out a full-page ad in the New York Times attacking Prime Minister Binyamin Netanyahu ahead of his Congress address warning against the Iran nuclear deal in March. It has been reported that Sahar Nowrouzzadeh, a top National Security Council (NSC) official informing US President Barack Obama's policy vis-a-vis Iran, previously worked for the NIAC.